While many of the nation’s top teams may look down slightly on the League Cup, at thatsagoal it provides us with the perfect excuse to have a midweek flutter on our League Cup predictions. You can get some great odds on the League Cup throughout the season, with upsets a plenty ensuring the big bucks are paid out regularly. We’ll expect more of the same this season as the weakened sides are fielded and the others try and get their hands on some silverware. Ahead of every League Cup round, we’ll deliver you the best analysis and odds so you’re fully in the know before backing your winners. We’ll bring you team news, views, and all the head-to-head and form talk before every fixture, while crafting the best League Cup bets for you to make.Our League Cup predictions are delivered to you with betting at the forefront of the agenda, meaning we’ll deliver what’s most important to you. When will you pick your League Cup betting tips? Our League Cup betting tips will arrive just after the weekend and ahead of any fixture to make sure you get the most up-to-date information possible. There’s nothing worse than backing a team to win based on the form of their striker, only for them to be ruled out after coming off at the weekend. We take into account everything, meaning only a last minute withdrawal will affect our football betting predictions. Our League Cup previews also come complete with our favourite enhanced odds and promotions as well free bets, acca tips and BTTS specials. Where will your League Cup predictions be? You’ll find all our League Cup predictions at the top of this page, where we’ll cover the First Round all the way through to the final. Within our football predictions you’ll find everything you need to know about the fixtures as well as odds and offers from our most trusted bookmakers. If you want all that direct to your Twitter feed, follow us on Twitter at @thatsagoal so you don’t miss a thing. Where do you find the best League Cup bets? We study only the best online bookmakers to find our top bets and value for money odds. You’ll regularly find odds with reliable bookies such as Paddy Power, Coral, and Betway as well as their best offers and free bets to make the most of the League Cup fixtures. What are the best League Cup free bets? Our experts make sure our analysis and League Cup tips comes complete with a free bet or two to set you on your way. Don’t miss out and make the most of our League Cup free bets by opening multiple accounts to really maximise profits. 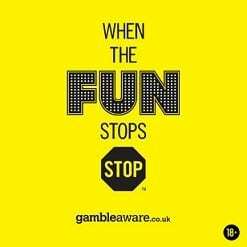 Our free bets page also holds some incredible offers and you’ll find all our free bets here from some of the best online bookmakers out there. Naturally, our football tipsters aren’t just sat there waiting for the League Cup to come round. Every week we’ll bring you the best previews and odds from the Premier League, Football League and beyond. Among the top clubs, we’ll also post Champions League and Europa League previews so there’s never a day you’re without some quality football to bet on. The World Cup is also fast approaching; don’t miss a thing at our World Cup predictions page. You’ll find all the latest England odds there and every game related to Russia 2018 as the competition draws ever closer. You can find our predictions at the top of the page on our menu, where you’ll also find all the best accumulator tips and both teams to score odds.